K-pop stars are still battling mistreatment from management agencies despite industry regulations that prohibit the use of unfair contracts. One such case is that of Kris and Luhan, members of popular boy band EXO, who demanded that their contracts with S.M. Entertainment be revoked back in May and October of this year. The two performers cited tight schedules, unfair distribution of profits and an exploitation of basic rights as reasons for their legal battle. In 2009 the Fair Trade Commission (FTC) introduced "standardized contracts" to improve the deals artists receive from their agencies. This reform was in response to the infamous "slave contracts," a 13-year contract members of the pop group TVXQ fought in court in 2008. The FTC's rules now say that a contract should not exceed seven years. However, other pressing issues on the standardized contracts are not being addressed by the regulations, critics say. "The regulations are hugely favorable to the management agencies," said Lee Choong-hun, a professor at Incheon University's law school. "The standardized contracts left the issue of profit sharing in the agencies' hands." Lee added that penalties for terminating contracts are prohibitive for artists. Under the standard form, if they want to end the agreement before their contract is up, artists are required to pay their agencies a sum calculated from the average profits made from performances and music sales. Despite these concerns, Korea's fair trade watchdog told The Korea Times that the contracts of K-pop stars are no longer problematic. "We don't have any plans to amend loopholes in contracts, or monitor contract practices in the entertainment market," said an FTC official. In 2013, the FTC debated amendments to the standardized contract, but since then no progress has been made. If a contract is signed by two "equal" parties, this should be clearly reflected in the wording of the agreement, say critics. 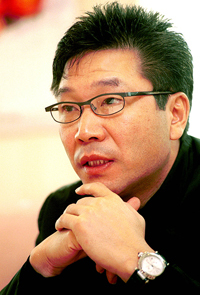 "There is no bargaining power whatsoever when star wannabes sign a contract with an agency," said Kang Sun-hwan, an official at the Federation of Korean Music Performers. "What is worse is that in practice, many agencies use their own version of a contract that does not fully cover the regulations of the standardized contract because it is not legally-binding," Kang added. A spokesperson for major agency JYP admitted that the terms of the standard contract are much fairer, but only 40 percent of management agencies use it. Critics say that malpractice in the industry is partly attributable to a government that has given backing to hallyu, or the Korean wave, through the agencies. In response, the government introduced an agency registration system in July, aiming to place agencies under its control. A large number of management agencies ­― estimates say between 200 and 1,000 ― had been off the government's radar. "However, the registration system might just end up imposing burdens on small- and medium-sized agencies that try to enter the market, while major ones enjoy their dominant power," said Lee Taek-gwang, a culture critic. Rather than waiting for the government to intervene, he advised K-pop performers to raise awareness and start working together with senior stars against unfair practices within the industry. Another critic has also pointed out that debate over how to improve rights and terms for artists should not center solely on how to improve the standardized contract. "Instead of relying on the words in the standardized contract, the industry should set the premise that the demands of various artists can be added to an outside contract," said Yim Sang-hyuk, a lawyer who specializes on issues in the entertainment industry.